EVO3 welcomed a new tenant last week as Uber opened a satellite office in the Frisco workspace. The app-based transportation company recently expanded into the Breckenridge and Frisco areas. Jaime Moore, communications officer with Uber, said hiring events held earlier this month in Summit and Eagle counties were well attended. “Over 40 people came into the recruiting events, and almost all of them are now active on the platform,” she said. Aaron Landau, founder of Evo3 Workspace, said this is another good example of companies recognizing the flexibility of renting space. This is in addition to the monetary savings compared to new construction or remodeling an existing building. 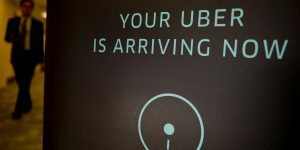 “Uber, not unlike our other corporate pass members, were able to see a substantial benefit to having a satellite office in the mountains,” he said. Since starting operations in Summit, Moore said the numbers have been growing steadily. “Trips have grown nine-fold in the mountains from before we launched this recruitment campaign five weeks ago,” she shared. Thus far, the majority of the trips have originated from Breckenridge, Moore said. She thinks the flexible schedule offered by Uber fits perfectly with the lifestyle of winter sports lovers. Landau agreed that the workspace offers major perks. On Thursday October 8th, at 7PM, I will be giving a presentation “Flying the Rockies of Colorado” at Evo3 Workspace in Frisco, CO. In the heart of Summit County, and where all this aviation mountain madness began two years ago, the presentation will consist of a slideshow of stunning aerial photography of the High Rockies area as well as personal accounts of flying the entirety of the region in a little old airplane that weighs less than 800 pounds, no heat, and less than 100 horsepower. I’ll share some of my previously undisclosed work in the slideshow. So far, I have published three books focused on the Colorado Rockies, and I have 3 additional aerial photography books focused on the state in the process of being published. From the glaciers in the Front Range, to all of the 14ers in the state (twice), to the little known yet equally as rugged mountain ranges in between, I have flown almost every corner of Colorado in pursuit of something, and have photographed what I saw in between. There is quite a story behind what would drive a person to undertake such ambitious ridiculous flying and to keep doing it project after project, which I will share alongside the story of how I figured out how to keep the airplane right side up while photographing some of the highest terrain in the Lower 48. The event lasts about an hour and is free. 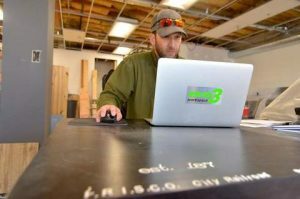 It’s been a long, hard road to opening day at Evo3 Workspace in Frisco, but founder Aaron Landau believes it was absolutely worth it. Today marks the official grand opening of Evo3, the town’s second co-working space to open in the past year. Doors open at 6 p.m. for a free kickoff celebration, with tours, live music and refreshments. The event is open to the public and wraps up around 10 p.m.
Landau invited a close friend from California, Scott Thorberg, to kick things off in style with live music throughout the night. Thorberg also created art for the space that will be on display at the open house. Once Evo3 is open for business, memberships begin at $215 per month for a private seat. The seat comes with a slew of amenities, including charging stations, two lounge areas, an attached kitchen, on-site ski storage and, of course, the lifeblood of any entrepreneur: high-speed wireless Internet. The space also has options for reserved desks, private offices and onetime meetings in the large conference room with views of the peaks overlooking Lake Dillon. The space is already attracting curious start-ups looking for a comfy, welcoming place to get their ideas off the ground. Roughly 15 locals have already signed up for memberships, including four of the six private office suites, and Landau expects another five or so in the next week. There’s no cap on the number of memberships, and the founder has already seen interest from Denver residents ready to make the move to Summit County. There’s a new breed of tech-minded entrepreneur in Summit County and Aaron Landau is building them a home. As founder of Evo 3 Workspace, an alternative office space in the spirit of Denver hotspots like Galvanize and Industry, Landau has spent the past five months toiling inside the 4,000-square-foot space on the corner of Seventh and Main Street. The main entryway, where a tiered wooden kiosk will replace a live assistant, is still blanketed in sawdust and surrounded by sheets of plywood. It won’t be ready for another month or so — organizers are still waiting on final items like furniture and town licenses — yet the space is coming together, slowly but surely, and the founder is nearly giddy with excitement. 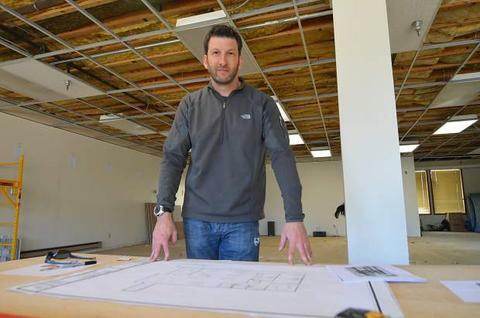 Take the Evo 3 construction: Since purchasing the space in late August, Landau has been a combination business founder, general contractor and project manager. He has no background in any of those fields, but he wanted to oversee the entire project, from drawing a floor plan with office suites and meeting rooms to personally drilling lighting fixtures. It was yet another hands-on learning experience for a self-proclaimed “corporate refugee” — a new breed of business junkies who are disillusioned with the cookie-cutter mentality of most corporations. It starts with the Evo 3 name: “Evo” for evolution, “3” for the third industry to thrive in Frisco after mining and tourism. Evo 3 is Landau’s baby, and like all entrepreneurs — or at least the successful ones — he’s willing to try anything and everything to make it stand out from the rest, including his co-working neighbors down the block at Elevate CoSpace, the first alternative office space to open in Summit County. Landau shares that mentality with the untapped community of alpine entrepreneurs he hopes will flock to Evo 3. He believes there’s a healthy corps of young, hungry, talented programmers and developers who want to work where they live and play, not several hours away in a cramped, inner-city office. And he wants to give them a space to call their own. In the past three to four years, alternative office spaces — or co-working spaces, as entrepreneurs know them — have become wildly popular. Denver, Boulder and Fort Collins are home to five large-scale spaces, and big players like Galvanize already have plans for three new locations across Colorado by 2016. Yet mountain towns have been a bit slower to catch on, despite evidence that communities like Summit County are teeming with talented tech entrepreneurs. 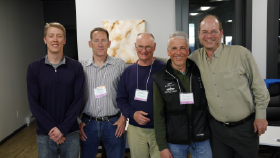 Thanks to new events like Breckenridge Startup Weekend in August and improved wireless infrastructure across resort towns, those entrepreneurs now have access to the technical perks previously only found in major metros. Evo 3 will use the same monthly rent arrangement as spaces like Galvanize, albeit more expensive — it’s still the mountains, after all. Single “seats” (essentially access to basic amenities) start at $215 per month, followed by private desks for $418 per month and two- to three-person suites for $605. A basic membership at Elevate begins at $225. Evo 3 will have all the basics and more — desks, office chairs, wireless Internet, a printer and copier, kitchen space with a range and fridge — but like the majority of workspace founders, Landau sees amenities are just a means to an end. The community and its interests come first, like a potential production studio he’ll build in the basement once the upstairs is finished. This past May, several months before Landau found the Frisco space, he invited a handful of interested entrepreneurs to his home in Keystone for a laid-back barbecue. Just four people came that first month. By June, nearly 30 people dropped by to hear his thoughts on Evo 3 and give input. 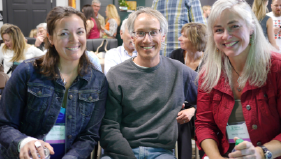 Landau was all ears: Before delving into the general contractor world, he reached out to dozens of co-working pioneers, including the founders of Galvanize and Jasper Welch, a Colorado-based entrepreneurial mentor and founder of the alternative office Durango Space. Longtime New Yorker Mark Bellnkoola was at the first barbecue in May. He and Landau immediately started brainstorming ways to improve the Evo 3 concept, and with the opening date just a month away, Bellnkoola is committed to a year-long lease in a private suite. Landau expects suites to be fully booked by the time doors open. On the east end of Frisco’s Main Street, a construction crews rips up the road. Bulldozers belch black smoke into blue skies as men in bright orange hard hats scramble to finish their tough task before winter sets in. The aspen leaves slowly turning a brilliant gold on the surrounding mountainsides function as a seasonal clock, signaling summer’s end. And behind a series of large glass windows in Suite 6 at 620 E. Main St. — which offers a front-row view of the roadwork — another project is under construction. 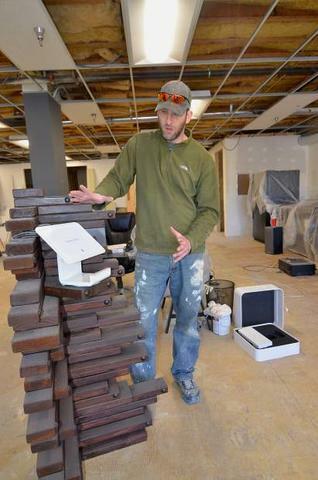 The indoor project involves putting the finishing touches on what will be Frisco’s and Summit County’s second coworking space, Evo3 Workspace, and it represents one man’s dream of transforming the economy of a region dominated by tourism. Aaron Landau, one of the minds behind Evo3, refers to himself as a corporate refugee. He’s spent the bulk of his professional career in the medical device industry in St. Louis, working for companies like Cardinal Health and Boston Scientific. He specialized in selling devices for arrhythmia, which is a form of irregular heartbeat. It was a lucrative business to be in, but he also felt like something was missing, that magical combination of high quality work and a high quality of life. So two years ago, he parachuted out of corporate America and into the High Rockies like a member of the 10th Mountain Division. After helping launch a ski boot company his first year here, he got the idea to try something different. He wants to create a high-mountain tech hub in Summit. And he plans to use the coworking space to help achieve that goal. 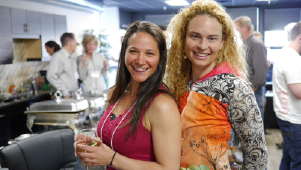 Landau started by spending time at coworking spaces in Boulder. “Coming from a place that was filled with pressure on sales and deadlines to a place where people are coming together for a casual and collaborative effort — it was very foreign to me at first,” he said. He then started traveling to coworking spaces all over the Front Range. Now he’s attempting to incorporate best practices from all those spaces into a new coworking space developed specifically to bring in tech workers. “Our economy here is not very diverse,” Landau said. “About 90 percent of it is tourism and construction. Our main goal is to bring a tech hub out here. The High Rocky economy has been transformed once before. In the 1950s when Chicago entrepreneur Joseph Paepcke started collaborating to transform Aspen into a cultural center and a ski haven, locals never imagined anything could overtake the mining industry. About 70 years later, arts and tourism have taken over and the mining industry is little more than dilapidated remnants on forgotten slopes. So another transformation of the local economy is not out of the question. Just like tourism and the arts did, it could serve to make it stronger. Landau emphasizes how the collaborative technique in technology creates a natural advantage. So in the Northeast all tech companies were using every legal means at their disposal to keep all new developments as private and secretive as possible. It was just the opposite out West. “You had people from Oracle going to Microsoft and people from HP going to Oracle and vice versa and they were all sharing these best practices,” he continued. “And that is the reason why a lot of people today believe Palo Alto became what it is today, Silicon Valley. It’s that collaboration piece that drives growth. Diversifying the economy could make it more sustainable. As profitable and as crucial as tourism has been, it is dependent on uncontrollable forces like the weather. There is already a lot of intellectual horsepower and a sufficient amount of financial and human capital in Summit. But he knows he has to attract more to the mountains to create a new economic sector. “We have to pull from outside Summit County, too,” Landau said. “If you look at occupations in Summit County, less than 5 percent of the workforce is professional. “We want to get people who want to be out here to move out here. It’s going to be possible now with mentors, advisors and networks. We already have a collaboration of very smart people from here, Eagle County and t he Front Range. The shifting attitude of the younger generation is also a factor in creating a new economy. “The millennials really care about where they live,” Landau said. “I’m almost 40, and I remember when I came out of college I was willing to go wherever the job was. I remember saying ‘I’m geographically flexible’ in job interviews. And that was because it was all about the job first and the place you live second. But now, with millennials, it’s more about, ‘I want to live where I want to live first.’ The balance is much more relative to the whole outlook. It plays in really well to what we are doing because that’s who we want to attract, too. And as the construction crew continues to hammer, paving the road outside, Landau hopes to build a path to a whole new way of life inside Evo3, which should be ready for business in about two months, not long after the ski season begins. Here at Evo3 we’re big fans of creative thinking and innovation. In fact, that’s why we do what we do. We believe that innovation and creativity grow exponentially when in an environment of collaboration instead of lone efforts. If you’ve ever started a business, you know that the beginning stage is rife with false starts, heaps of trial and error and an overwhelming sense of uncertainty. You are forced to learn all sorts of new words such as Business Model Canvas and MVP. It can be a daunting task but it can also be exhilarating. 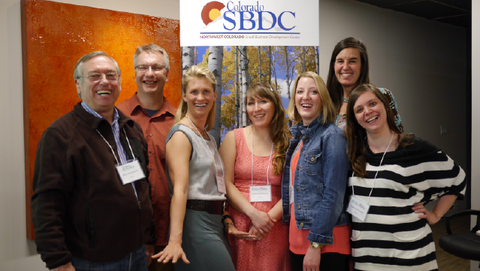 Startup Weekend makes the process of building a business just a bit easier. 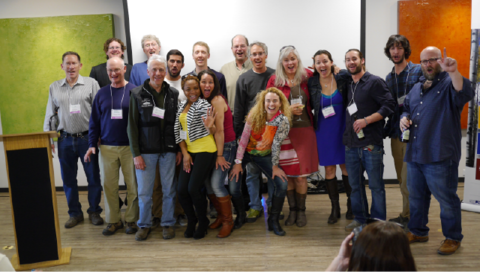 This is why we were stoked to cohost Summit County’s 2nd Startup Weekend. Startup Weekend is a global 54-hour event where talented, entrepreneurial people come together to launch a startup- in just one weekend. Participants will pitch their great ideas on Friday night and team up with developers, designers, marketers and the like to work their butts off all weekend making those ideas come to life. This past weekend, we were able to be a part of this event. The energy going around was amazing and it was exciting to see the process each team went through. Here are a few of the teams. Adrenaline Escapes, the first place winner, is a web platform that connects local talent with travelers. Vacationers looking for something a little more adventurous than a week at the beach can connect with locals. The locals, who create profiles on the site, can show them all the hidden gems their home has to offer, give lessons in their favorite sport and help them make the most of their experience. Malaria Detection Systems. Currently, malaria is detected by analyzing a blood sample for 30 minutes by a trained professional. This yields about a 60% accuracy. This team wrote software (in a weekend!) that can detect infected cells in a fraction of that time, with a much higher accuracy rating. Talk about a game changer! Savvy is an on-demand helpline aimed at college students. They can text, call or chat their questions to trained professionals and get advice exactly when they need it. Colleges will purchase credits for their students to subsidize the costs. Each team spent the weekend formulating their business model, writing marketing plans, doing market research, creating a budget and of course, developing their product. The coaches, volunteers from different local businesses, were on hand to offer their expertise in marketing, finance and graphic design. The amount of creative energy at Evo3 this past weekend was amazing and we were excited to be a part of it. Innovation, growth and collaborative entrepreneurs: that’s what we are about!